During the sermon, His Eminence explained the significance the Feast Day in the life of the Church. Saint Simeon encountered Eternal Light and Life when the Mother of God, following Jewish Tradition, came to Jerusalem to present her Child to the Lord. He recognized in Christ the prophesied Messiah, “ Lord, now lettest thou thy servant depart in peace, according to thy word: For mine eyes have seen thy salvation, which thou hast prepared before the face of all people; A light to lighten the Gentiles, and the glory of thy people Israel.” (Luke 2:29-32) This meeting was not only between St. Simeon and Christ, but, between the Old Testament and the New Testament. It marks the conclusion of the priesthood of Aaron and the start of the Melchizedek priesthood, which will last in to eternity. With blessed candles in hand, and smiles on their faces, the faithful departed to their homes, as the members of the Metropolitan Council congregated in the Pokrova Sisterhood Hall to commence the scheduled two-day meeting. 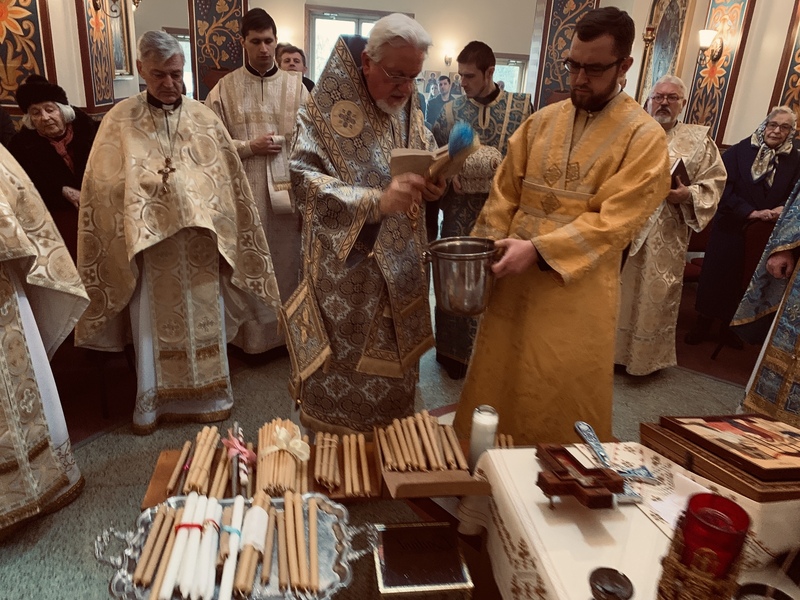 Lighting one of the newly blessed candles, invoking the intercession of the Holy Spirit, Metropolitan Antony led the opening prayer and opened the meeting. Joining the hierarchs were the fourteen members of the Council of the Metropolia (V. Rev. Robert HOLET, V. Rev. Stephen HUTNICK, V. Rev. Anthony PERKINS, V. Rev. Andriy POKOTYLO, V. Rev. Vasile SAUCIUR, V. Rev. Victor WRONSKYJ, V. Rev. Michael HONTARUK, Mrs. Hanja CHERNIAK, Mr. Michael DOBRANSKY, Ms. Aleksandra KOCELKO, Dr. Paul MICEVYCH, Mr. Charles SANDERSON, Ms. Elizabeth SYMONENKO, Dr. Gayle WOLOSCHAK and two organizational representatives, Protodeacon Ihor MAHLAY for the St. Andrew Society and John HOLOWKO representing the Ukrainian Orthodox League. The meeting commenced with a meditation by His Eminence Metropolitan Antony, who reiterated the importance of the Feast Day. He emphasized that the while the present clergy continue the Melchizedek priesthood, the laity also are crucial to the wellbeing of the Church and in service to the Lord. 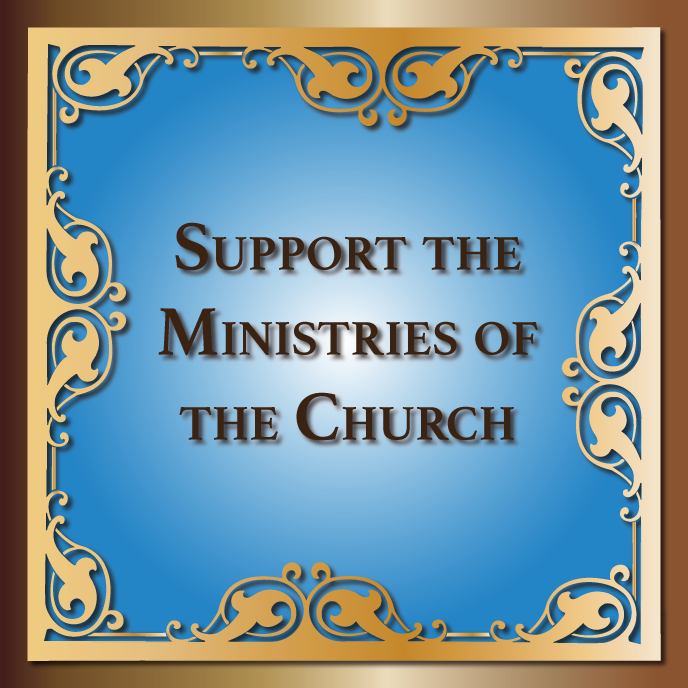 Therefore, he emphasized that every member of the Council has a huge responsibility to aid in the growing of the Church, and sharing the light of Christ. His Eminence continued by giving a short synopsis of the previous year which was highlighted by the glorious Centennial Celebration, which was well attended and received rave reviews. His Eminence Archbishop Daniel spoke next, retelling his experiences in the previous months as the Exarch of the Ecumenical Patriarchate towards the Autocephaly of the Orthodox Church in Ukraine. Everyone sat mesmerized realizing just how much time and effort was exuded in order to achieve canonicity. Vladyka continued as the President of the Consistory to summarize the various topics concerning Consistory property, staff and maintenance. Those council members heard an update on the historic Fischer House, the Cultural Center, and St. Andrew Cemetery. The afternoon flew by as the council members heard from various representatives and reviewed official reports from the Consistory Offices of Ministry including the Offices of Stewardship, Youth and Young Adult Ministry, Religious Education, Christian Charity, Liturgical Publications, Public Relations and Office of Archives. 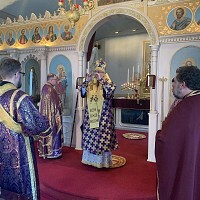 After a short break, the meeting continued reviewing Institutions and Central Organizations including the St. Andrew Cemetery, St. Sophia Seminary Library, St. Andrew Church Goods and Bookstore, the St. Sophia Ukrainian Orthodox Theological Seminary, St. Andrew Church Goods and Bookstore, All Saints Camp, Ukrainian Orthodox League and the St. Andrew’s Ukrainian Orthodox Society. 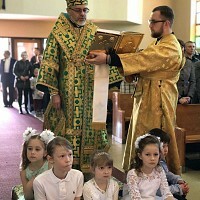 In the conclusion of the meeting, His Eminence Metropolitan Antony offered words of gratitude to the members of the Council of Metropolia for their dedicated service, and on behalf of the Council of Bishops of the UOC of the USA presented the members of the Council with the Centennial Medal of the Church. 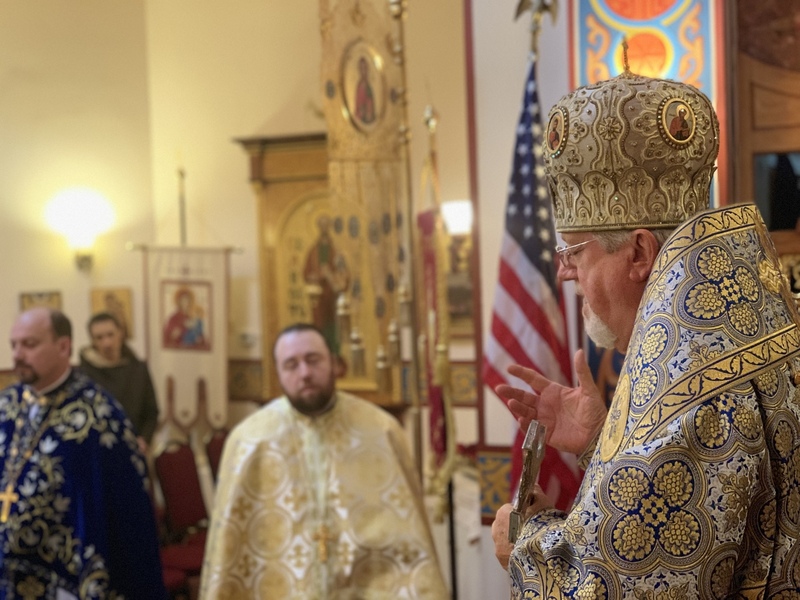 While funds are tight, the Church continues to successfully minister to the needs of the faithful of the Ukrainian Orthodox Church of the USA. As everyone prepares for the 22ndSobor later this year, the council members are hopeful in a bright future for the UOC of the USA.